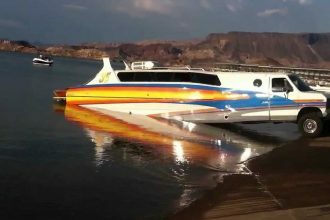 What do you get when you bring some of the biggest ramps you have ever seen, BMX and mountain bikes, an inflatable landing bag, motorcycles, and a law enforcement radar speed gun to Pastranaland? Why, you get some of the most epic, fastest, and craziest jumps ever performed on bikes or motorcycles anywhere. 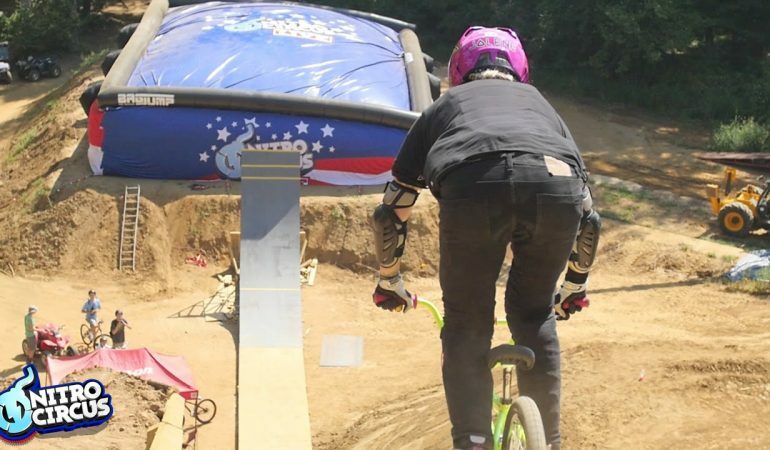 Go ahead, I dare you, click play and watch Travis Pastrana, Steven McCann, James Foster, and Jolene Van Vugt have a whole lot of crazy Nitro Circus fun. WTF! 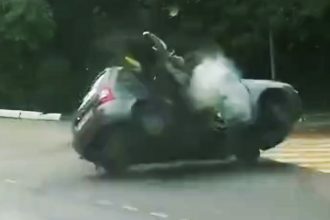 Bike Slams Into A Car And Almost Flips It! 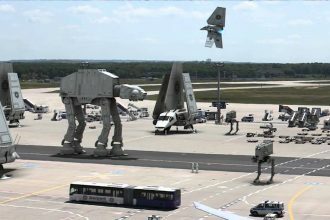 The Imperial Force Took Over The Airport In Frankfurt, Germany!